Having acne prone skin means that it can be difficult to find a good body wash that will provide deep-down cleansing without irritating your skin. Many body washes that are sold for sensitive skin aren’t the best type for acne prone skin. This is because they often contain harsh chemicals which can strip your skin of its protective oils. 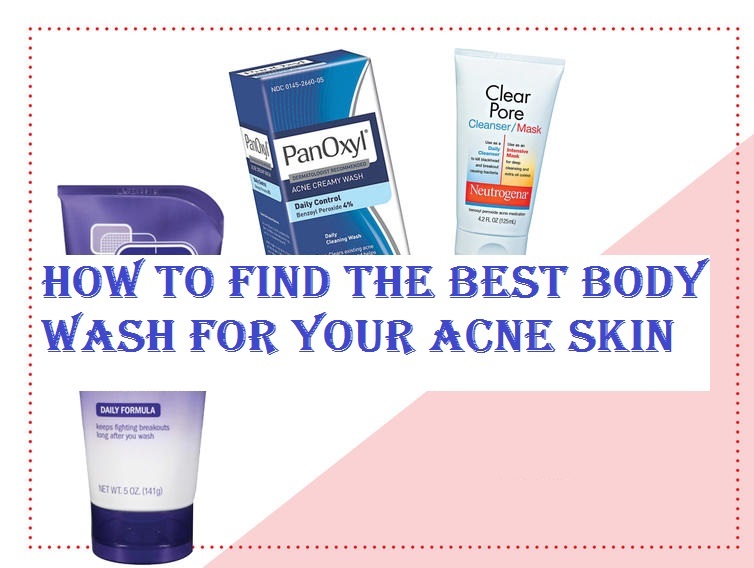 How can you find the best body wash if you have acne prone skin? The best kind of body wash for acne prone skin is one which contains ingredients that help treat inflammation, kill bacteria and help to unclog pores from a buildup of toxins. Even though acne is caused by a buildup of sebum, you shouldn’t think that all oil is bad for the skin. If you strip off all the oil from your skin by over-washing you actually make your skin more prone to acne flare-ups. First of all, you need to determine which type of skin you have. Even people with dry and sensitive skin can be prone to acne. Once you know your skin type, you can choose the best body wash for your skin. The next factor is to look for are ingredients like salicylic acid and benzoyl peroxide. These are used in many acne products to help treat spots and pimples. A good body wash should also be noncomedogenic, meaning that it doesn’t clog pores. This review will look at the 3 best body washes for acne prone skin and will help you choose which is best for your skin. 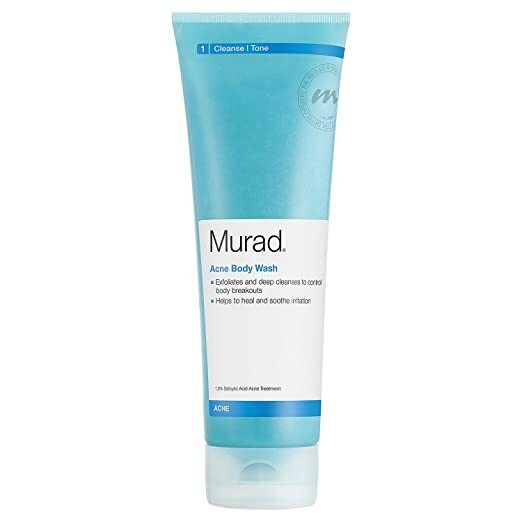 Murad Acne Complex Acne Body Wash has been developed to help treat acne wherever it appears on the body, including the face, back, shoulders, and chest. It contains both glycolic and salicylic acids which combine to provide a very effective acne treatment. One unique factor with this body wash for acne is that it contains date seed powder extract to exfoliate the skin. This helps to unblock pores and remove excess sebum and dead skin cells. The Acne Complex Body Wash by Murad also contains natural extracts which help to remove toxins from the skin and soothe irritated and inflamed skin. These extracts are green tea and licorice root. What are the main features of Murad Acne Complex Acne Body Wash? What are the main ingredients in Murad Acne Complex Acne Body Wash that makes it a great body wash for acne prone skin? 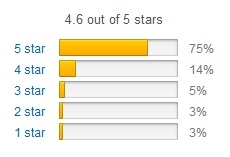 The Murad Acne Complex Acne Body Wash is part of a complete range of acne products by Murad. 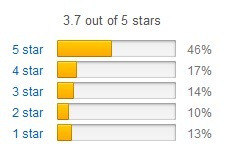 This means that, when used together with other products in their range, you get complete overall acne treatment. The acne body wash is very gentle on even sensitive skin and the date seed extract does a nice job of clearing pores. Many people who use this body wash say that it is very effective even in treating severe acne. It also provides the skin with a layer of moisture for extra protection. Because this body wash is very gentle on the skin and contains natural extracts, it definitely ranks among the best body washes for acne prone skin. The Body Shop is well-known for creating high-quality skincare products and The Body Shop Tea Tree Body Wash doesn’t disappoint. The fact that the body wash is gel based means that moisturizes the skin extremely well and doesn’t let the skin dry out. One of the nice factors of this body wash for acne is that it has tea tree oil in it rather than soap. Tea tree oil is a great product for acne prone skin because it helps to kill off harmful bacteria which can lead to inflammation. One issue that some have is that they don’t like the smell of tea tree oil. However, the gel is easily rinsed off. For those people who are interested in the ecology, this is a good choice of body wash because it is a certified Fair Trade Product and all the leaves for the extract have been hand harvested and are organically grown. This is a great product to help reduce and eliminate further acne breakouts. What are the main features of The Body Shop Tea Tree Body Wash? What are the main ingredients in The Body Shop Tea Tree Body? Although The Body Shop Tea Tree Body Wash doesn’t contain salicylic acid, there natural ingredients which can help reduce inflammation and kill off the bacteria that cause acne. Its soap-free formula is very gentle on the skin and it has a nice rich lather. This has to rank among best body washes for acne prone skin because of its gentle ingredients and the fact that it is a natural product which is Fair Trade certified. Peter Thomas Roth Blemish Buff Beads Scrub has been specially formulated with jojoba beads to provide excellent cleansing, especially for oily skin. This body wash for acne prone skin contains salicylic acid and glycolic acid which help to unclog the pores of a build up of sebum and bacteria. To help exfoliate the skin, the Peter Thomas Roth Blemish Buff Beads Scrub has buffing beads which gently help to remove dead skin cells. The formula will quickly reduce the appearance of acne on the skin, soothe inflammation and provide hydration to the skin so that it looks and feels great. This has also proved to be effective in treating all types of acne, including hormonal types of acne. What are the main features of Peter Thomas Roth Blemish Buff Beads Scrub? What are the main ingredients in Peter Thomas Roth Blemish Buff Beads Scrub that makes it a great body washe for acne prone skin? 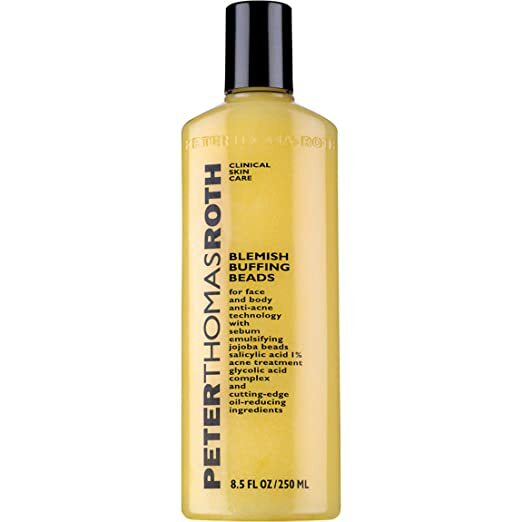 The Peter Thomas Roth Blemish Buff Beads Scrub is among the best body washes for acne prone skin because it gently exfoliates and at the same time helps to treat acne. For some people who have very dry skin, this may not be the best choice because the jojoba beads can dry the skin out even more. However, if you have oily skin, then this a great body wash. The jojoba beads work great on oily skin because they help to open up the pores and allow the acne treatment to go to work. This is one of the best exfoliates that is on the market just now. This body wash can be used on all areas of the body that are prone to acne, including on the face.